Fit Text Into an Area. A dynamic texture works by creating a canvas onto which you can draw using all the facilities of the HTML5 Canvas. though the existing default values of minmaps, sampling mode and texture format can be overwritten by their addition. A number, in which case both width and height are set to this number. 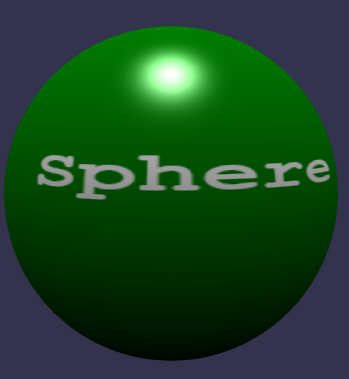 A drawText method is available so that text can be written directly onto the dynamic texture. update: boolean, true by default, the dynamic texture will immediately be updated. exposing all the possibilities of the HTML5 canvas element. Note: use update(false) if you do not want to use invertY. Images can be added to fill part or the whole of the canvas using the drawImage method. Remember that you will have to wait for the image to load before assigning it to the canvas and update the dynamic texture afterwards. This playground combines all the above techniques. For a single line of text it is possible to fit the text into a specified area or to fit an area to a specified text. You have a plane with width and height, planeWidth and planeHeight, to form the width and height of the dynamic texture multiply both the plane width and height by the same number to maintain aspect ratio. The number to multiply by defines the sharpness of the text, low numbers produce blurred text. Now you can create the dynamic texture. For the next stage using any size of font write and measure the width of text on the dynamic texture. The ratio of text width to size of font applied can be applied to the dynamic texture width to determine the font size that will fit the plane. If you wish you can apply a multiplier to the ratio, the larger the multiplier the smaller the text and bigger margins. Finally set and apply the material for the plane. Take a plane mesh of fixed height, planeHeight and text with a set font size you can then calculate how wide the plane must be for the text to fit in. In order to do this you need to know the width the text will take up on a dynamic texture. This is calculated using a temporary dynamic texture and measuring the text. create the plane with width and height planeWidth and planeHeight. The dynamic texture can be serialized with the scene using SceneSerializer.Serialize() or a mesh using SceneSerializer.SerializeMesh(). Note: Be sure that the scene is ready before serialization.